This week’s post is a collaboration between Lizzie and crack designer Alex Roberts. It’s the second in a series of three posts about larp critique. In our first post we described the differences–as we see them–between review, critique, and criticism. This week, we’re lasering in on the awesomeness of larp critique. First, let’s refresh our memories on what critique is. It’s a concise form that focuses on a few elements–ideally the most interesting elements that come out of a larp experience. It does more than simply explain the most salient techniques, though–it goes a step further, analyzing how they affected the game experience. Critique teases out meanings the reader may not have considered before. We need larp analysis because no one can play every larp. And yet, all over the world, larp designers, organizers, and players are making headway, creating elegant solutions to design problems. What if we didn’t need to reinvent the wheel? What if we had the ability to stand on the shoulders of giants without violating the time-space continuum or breaking our budgets attending faraway larps 24/7? Analysis turns every larp into a learning experience, whether or not it was a personal or financial success for the organizers. It builds a shared language across scene borders and national borders that we can use to talk about the experiences we all love. Wouldn’t it be great to have a larger functioning language for talking about larp? We already have some great words (albeit with contested definitions)–bleed, steering, alibi, just to name a few–but it’d be great to have a bigger vocabulary. Analysis can help us build that. Make sense of what they’ve played. Critique makes an artistic/literary argument, exploring not just what techniques were used, but how they worked. In developing ways of thinking about larp, players may even find they get more enjoyment out of it. Identify why they liked or didn’t like something, so they can choose new play experiences accordingly. Written critique can even help players who weren’t in that larp reflect on their own experiences and figure out which designs best suit their play styles. Preserve the history and knowledge of techniques for posterity, by not only recording but also analyzing the effects of those techniques. Trace the lineage and evolution of play styles. Build a better larp by allowing them to think in terms of components. Design based on what actuallyworked in a field test under battle conditions, not just in someone’s head. Learn how others have solved design dilemmas, so they can get inspired or hack and remix the newly-expanded toolset. All of the above audiences benefit from asking: “I want my game to do X. What other larps have done X? And what happened when they did it?” Critique can help us make more conscious, informed decisions. Critique is focused. It doesn’t attempt to tackle everything–it lasers in on a few elements and picks them apart. That focus keeps it interesting to read and communicates ideas concisely. 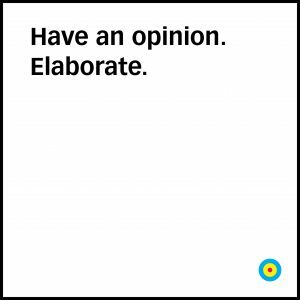 Compare it to reviews, which are often told in the form of a narrative. Narratives have many virtues, but brevity and efficiency are not among them. Personal narratives of larp experiences contain a lot of extraneous information that isn’t helpful if you’re trying to learn about design, though these stories may be fun or meaningful for other reasons. Critique strips down analysis to the elements the largest number of people are interested in. A designer on the other side of the world needn’t concern themselves with whether the food tastes good at a particular venue in Antarctica. But there will be players, academics, and organizers interested in the effect that three-sentence pre-written character cards had on players. By analyzing the outcomes of a given technique, critique helps designers generate better experiences. One way critique can help is by developing cross-cultural understanding. Local player culture has a HUGE influence on how a larp ends up. Most designers design for their own play cultures, which means that unspoken rules of behavior might affect the larp powerfully. As more larpscripts cross borders, larp critique should take time to explore what makes larps tick on a player culture level as well as a design level. For example, a larp that has a touch-based mechanic would have to be run differently depending on the culture’s norms regarding physical contact. Critique also provides an opportunity to look with a lens (social, political, economic, race, class, gender, ability, etc) and expose intentional and unintentional bias in our own designs. Unpacking how our larps might replicate oppression sets the stage for dealing with it head on. Critique can help us do great things. So, how do we do it? What are the marks of quality in larp critique? We’ll have our own answers in the next post, but we’re interested to hear your thoughts as well. What do you think larp critique could or should do? What kinds of critique would you like to read? Art by See-Ming Lee under a creative commons license.